Not a single word in this volume is wasted; least of all in the award-winning title sequence, where the sea sifts and rolls through the dreams of an old man asleep in a deckchair, conjuring a vision of history and our human crossings. Elsewhere, fragments of first love are glimpsed, pursued, and interrogated; fathers sit down to eat with the sons they have killed; two textbooks sing three songs of suppressed longing; bees are kept for all the wrong reasons; nothing jinks or swithers. You can read more, and buy a copy of Seahouses, on the Valley Press website. 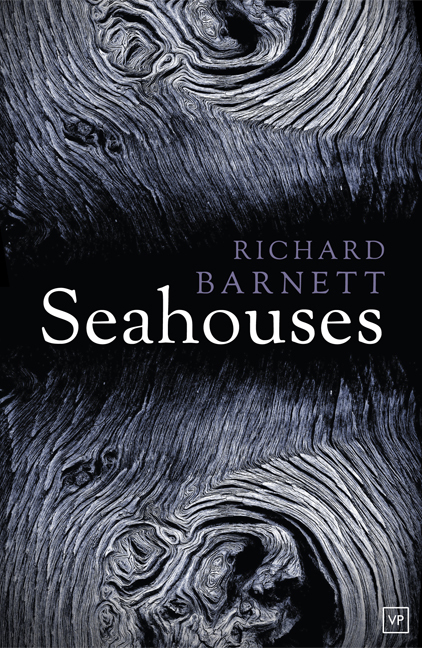 We launched Seahouses at Blackwell’s Holborn in May, and I read from the collection at the Inpress Books Poetry Pavilion in the London Book Fair in April, and the Poetry Book Fair in September.I’ll be exploring the poetry of the dead body with Kass Boucher as part of ‘Death, Art and Anatomy’ at the University of Winchester on Fri 3 June. The title sequence received the 2006 Promis Prize for poetry, and the collection was shortlisted in the 2013 Poetry Business competition, judged by Simon Armitage. 3:AM Magazine published ‘Lingo’, a prose poem from Seahouses, in November 2014, and a couple of poems from the collection appeared in the first issue of Funhouse magazine. Quarterday Review gave Seahouses a glowing five-star review in their Samhain edition. East Leeds FM broadcast a recording of me reading three poems from the collection, which you can also hear by clicking on the media player below.